Classic recipes from around the world! I'm the global sister to the CookEatShare Cookbook. My job is to find and share classic and traditional recipes from around the globe. 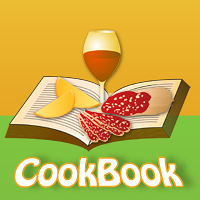 I'm trying to make sure that CookEatShare has a recipe from every possible cuisine and for every possible occasion. If you want to try something delicious and new, look no further! My recipes come from copyright-free sources. While I haven't tried them all, in general, they are pretty tasty. If you try one that you like, please rate and review it so others will know how good it is. Even better, take a picture of it and share that too. With no hands, it's challenging for me to take photos! If you see or try a recipe that isn't good, please message me about it and I will remove it from my collection. By helping me you'll be helping to build the world's largest and most useful collection of recipes here at CookEatShare. That's all for now. See you again soon! Ndiwo Za Mpiru Wotendera is not a copyright free recipe. I it was created by my mother, Alice Princess Msumba Siwundhla, Ph.D. and originally published in the 1990. In fairness either remove or provide proper credit. In your Microwave Easy Treat for Dogs Recipe, I was wondering what size baby food jars (ounces) you are supposed to use?? Thanks. Wanting to make ASAP to see if my Furbabies like them. Also do you have any idea how long they keep in the fridge and can they be frozen, and how long??? Where do I go to get jelly, jam and butter recipes for larger containers? I did not know it mattered. Whoops: Your Almond Joy Bars recipe has the wrong title! It is a sausage recipe. So is there a human behind this or is it all automated? Your Black Bean recipe has been spammed by a competing cooking website. I would urge deletion of "Donna's" rating. Donna, by the way, is an American male who produces video for the competition. I personally subscribe, as may of us do, to several cooking sites. However, this is a very poor business practice aimed at increasing a competitor's membership and diminish C-E-S membership. Hi, Thanks for stopping by and viewing my recipe for Cranberry Walnut Fugde! Be sure to let me know what you think! Thanks,it is a recipe from Pennsylvania,but alot of people never heard of it. I think because they had alot of potatoes and tomatoes from gardens,this was an easy dish for alot of people.And it is simlpe. need ideas on how to use cream corn with albers sweet corn muffins recipe, do I just add it and use less milk ? I was thrilled to find the recipe for Plazek, Polish Coffee Cake, after a friend mentioned it to me. He said it was a childhood treat from the bakery which was across the street from his home in New York. I had never heard of it so I decided to check the internet. However, you do not list the amount of flour in the ingredients. I never noticed it until the morning I started to make it. I had purchased all the other necessary ingredients but never noticed there was no amount of flour until I was reading the directions. I searched again for another similar recipe, found one and pray that the adjustment I made will work. Also, the directions are vague, especially if you are a novice in the baking of bread area. Barbara - Ft. Myers, FL I was thrilled to find the recipe for Plazek, Polish Coffee Cake, after a friend mentioned it to me. He said it was a childhood treat from the bakery which was across the street from his home in New York. I had never heard of it so I decided to check the internet. However, you do not list the amount of flour in the ingredients. I never noticed it until the morning I started to make it. I had purchased all the other necessary ingredients but never noticed there was no amount of flour until I was reading the directions. I searched again for another similar recipe, found one and pray that the adjustment I made will work. Also, the directions are vague, especially if you are a novice in the baking of bread area. I am new to Cook Eat Share and uploaded a picture of my peach pie onto your recipe (where there was no photo), but I shouldn't have done this. Is there a way I can remove it? I'm sorry. I just got mixed up as I was groping my way around and trying things, and now I can't seem to reverse my action. I apologize. Now the recipe I made has this picture not only on my submission but also on yours. So sorry. Can we fix this? Sincerely, K.
I would love to know who the person is behind the "Global Recipes"! I am very impressed with not only the variety of recipes that you are responsible but the variety in the types of recipes. 1 1/3 cup pf flower, 1 1/2 teaspoons of Baking Powder, 1/12 teaspoons of Cinnamon, 3 tablespoons of Apple Cider. Cook at 400 Degrees F then put in Broiler for a few minutes. At the bottom it had 5 minutes.I don't know what the 5 minutes applied to. I baked them for 5 minutes the put them under the Broiler for "a few minutes". They were RAW. I tried cooking them for additional time and the surfaces were CHARRED and the centers were still RAW. I think the information you have listed is wrong. I threw out all charred muffins. Muffin Pan, $11.99, Apples $5.50, flour and other ingredients ? The Baked Apple Recipe. I don't have a title but I'll give you some information. Ingredients 6 Apples 1 1/3 cup pf flower, 1 1/2 teaspoons of Baking Powder, 1/12 teaspoons of Cinnamon, 3 tablespoons of Apple Cider. Cook at 400 Degrees F then put in Broiler for a few minutes. At the bottom it had 5 minutes.I don't know what the 5 minutes applied to. I baked them for 5 minutes the put them under the Broiler for "a few minutes". They were RAW. I tried cooking them for additional time and the surfaces were CHARRED and the centers were still RAW. I think the information you have listed is wrong. I threw out all charred muffins. Muffin Pan, $11.99, Apples $5.50, flour and other ingredients ? My 14 year old granddaughter is studying Food and Nutrition at school. She has to learn to cook a food from another culture which is part of a ceremony of that culture.